 The Port of Trincomalee is located on the North East Coast of Sri Lanka and has good deep-draft anchorages to support ship services at the Back Bay / Round Island / Inner Basin Anchorages. Berthing facilities are operated by Prima Ceylon who operate the grain silos and the milling plant and the Tokyo Cement Company who operates a Cement production facility. The Sri Lanka Ports Authority operates a common berthing facility at Ashroff Jetty with berthing available on a quay of 257m X 12.5m Draft. The Prima Terminal berths bulk carriers up to 238m X 13m Draft and the Tokyo Cement Terminal berths bulk Clinker vessels up to 155m X 9.5m Draft. Both Terminals support export cargoes too. The Lanka Indian Oil Company operates the Storage Terminal and Oil Terminal and berthing is available up to 200m X Draft 9.75m. The port infrastructure has created a spinoff as a good support base for ship to ship transfers varying in cargoes from bulk cement to oil and natural gas. Fresh Water and Bunkers are well served at the Port of Trincomalee. Trincomalee is well connected to the capital city of Colombo by road rail and air.